 Membership is open to all English UK members who agree to abide by the Young Learners EUK Code of Practice and who demonstrate that they are in agreement with the criteria, rules and Code of Practice as described here. By December 2016 1 member of staff must be hold a current Advanced Training for the Designated Person safeguarding certificate and 1 member of staff must hold a current Safer Recruitment certificate. Certificates to be provided to a named member of the committee in order for records to be updated. Young Learners EUK AGM will be held in December. The main purpose of the AGM is to review the activities and finances of the current year, and to determine and agree those for the coming year. Three to four meetings will be held in each subscription year (1st January – 31st December) including Focus Groups. Each member school must be represented at at least 2 meetings in each subscription year. One meeting must include the AGM and the other could be a focus group or a general YL meeting. Please note training days do not count! Communications between members will be via Young Learners Yahoo forum. It is your responsibility to ensure you provide a current e-mail address when you join YL so you can be subscribed to the forum. All events will also be updated on the YLEUK web site. Member schools must have 1 person who holds a current Advanced Training for the Designated Person Safeguarding certificate and a Safer Recruitment Certificate. Members who have not full filled the above rules and criteria by October of the new subscription year (Jan. 1st – Dec 31st) they will be given a written warning when their membership is due that in the following subscription year they will comply with the rules otherwise their membership will not be renewed the following yer. New schools can join throughout the year providing they have one staff member who is Safeguard lead and Safer Recruitment trained in advance of joining the group.